My favorite barbecue restaurants have always been in or around Kansas City…until now. I’ve found a place with smoked meat to rival much of what Kansas City has to offer. 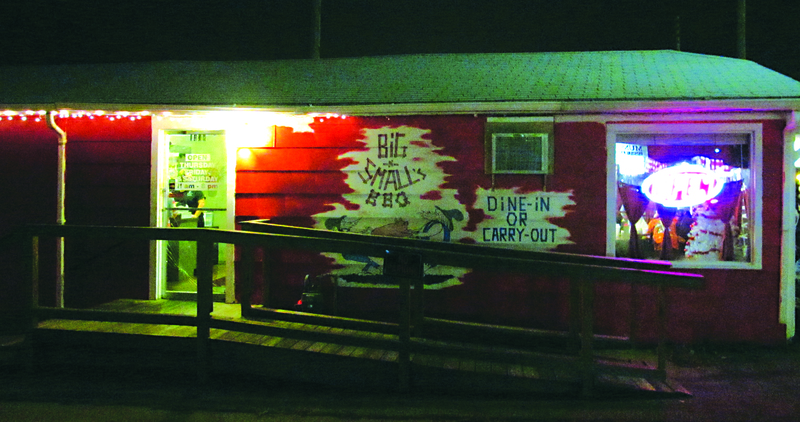 The place is Big – N- Small’s BBQ located in Arkansas City, Kansas. The first time I had their delicious food, it came from a concession trailer they have set up during the warmer seasons in Winfield, Kansas, the home of the famous Walnut Valley Music Festival. It was so good that I had to try the original location at 1438 N. Summit, Arkansas City, Kansas. This place isn’t very big, and the service wasn’t extremely fast, but I wouldn’t let that stop you from checking it out. The first thing I noticed was the fantastic aroma of wood smoke rolling out of a covered shelter behind the restaurant. The shelter holds their homemade smoker. 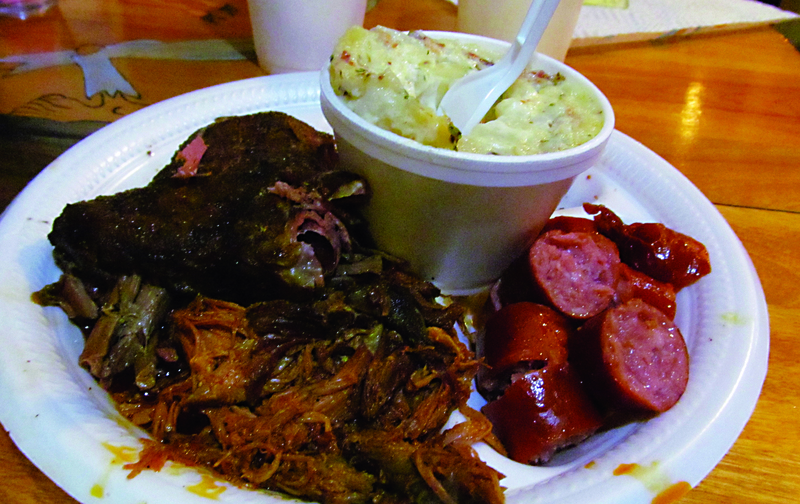 Once my combo platter arrived I was excited to taste the same delicious wood smoke permeating through the meat. While the ribs were too tender for Kansas City Barbecue Society standards, they were still delicious. The pulled pork was way above average and my baked potato salad (with bacon) was an extremely good side. 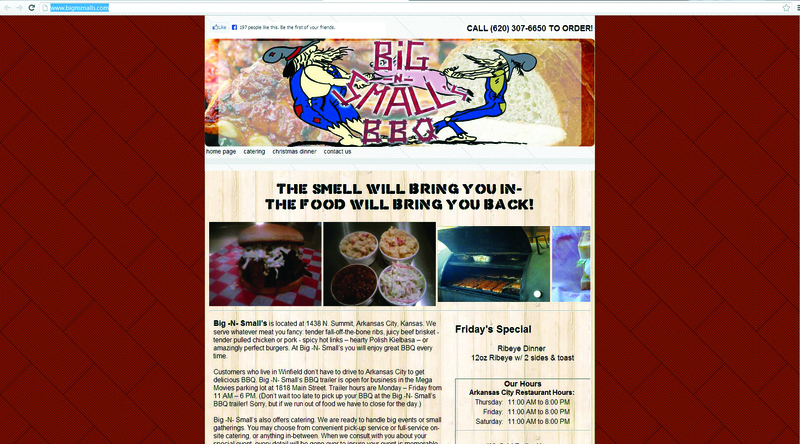 If you like your barbecue wood smoked, this is the place in southern Kansas for you!